The Florida State Seminoles remain at number one in the Coaches Poll and Texas A&M moves from 18th to fifth, a change of 13 spots. Over in the ESPN.com/USA Softball Poll, Florida reclaimed the top spot with Florida State second. Texas A&M is also fifth in that poll. The Coaches Poll saw Florida State claim 18 of 32 first place votes, Auburn is second with 2 first place votes, and Florida is third with 6 first place votes. Oregon moves up one spot to fourth and the poll’s biggest mover, Texas A&M, is fifth after defeating four ranked opponents. The Aggies were ranked as the number one team on five ballots. The Aggies defeated #1 Florida State, #21 Arizona State, #23 BYU, and #14 Michigan over last weekend. They allowed just two runs over the previous week and 16 hits over five games in last week. The top ten is rounded out by Arizona, UCLA, Washington, Oklahoma, and Minnesota. The Golden Gophers received one first place vote. Minnesota has won a program record 14 games to start the season and the number ten ranking is the highest in school history. The next five teams are Alabama, James Madison, LSU, Michigan, and Tennessee. LSU dropped six spots after losses to UCLA and Utah. Spots 16 through 20 belong to Georgia, Utah, Louisiana-Lafayette, Kentucky, and Arizona State. The final five spots belong to Pittsburgh, Baylor, California, Missouri, and Ole Miss. Both California and Ole Miss are new to the poll replacing BYU and South Florida. The entire Coaches Poll can be seen below. The ESPN.com/USA Softball Poll saw a change at the top. Florida moves up from third to first with just 3 of the 20 first place votes. Florida State drops to second from first (7 first place votes) with Auburn also dropping a spot to third (2 first place votes). Oregon is up to fourth from sixth and Texas A&M rounds out the top five. The Aggies received 6 first place votes and also moved 13 spots from last week’s ranking. Arizona is ranked sixth with a first place vote, Washington is seventh, and UCLA is eighth. The top 10 is rounded out by a tie for ninth between Alabama and Oklahoma. The Sooners have dropped to ninth after starting the season as the top team. The Sooners lost 2-1 versus Tennessee and 5-4 to Notre Dame last week while run ruling the UCLA Bruins 10-1. Minnesota is ranked 11th and garnered one first place vote after their school record start. The next four teams are LSU, James Madison, Michigan, and Tennessee. Utah, Georgia, California, Louisiana-Lafayette, and Arizona State complete the top 20. The final five teams are Kentucky, Baylor, Ole Miss, Pittsburgh, and Missouri. Ole Miss is the lone newcomer to this poll after South Florida dropped out. The entire poll can be seen below. The Florida State Seminoles are the top ranked team in both NCAA Softball polls after the second week of games. Florida State, who is undefeated at 10-0, claimed 18 of the 32 first place votes in the Coaches Poll and 15 of the 20 first place votes in the ESPN.com/USA Softball Poll. In the Coaches Poll, Florida State was followed by Auburn, who stayed in second and garnered 10 first place votes. Florida dropped from first to third after their loss to previously winless Maryland and received three first place votes. Oklahoma remained at fourth and undefeated Oregon (9-0) moved up to fifth from ninth. The rest of the top ten was UCLA, LSU, Washington, Arizona, and Alabama. The Crimson Tide dropped from five spots after their series loss at Louisiana-Lafayette. The Ragin’ Cajuns saw a small bump from 18th to 20th. Pittsburgh went from 24th to 19th and curiously received a first place vote. The Panthers are undefeated at 9-0. Fresno State dropped out of the Coaches Poll after going 2-3 last week with losses against Mississippi State, Florida Gulf Coast, and Texas Tech. The entire USA Today/NFCA Coaches Poll can be seen below. In the ESPN.com/USA Softball Poll, Florida State was followed by Auburn (four first place votes). Florida dropped to third and received one first pace vote. UCLA was fourth and Oklahoma was fifth with both teams moving up one spot from last week. The top 10 is rounded out by Oregon, Washington, LSU, Arizona, and Alabama in tenth. The Tide dropped six spots while their opponent from last week, Louisiana-Lafayette, moved up two spots from 18th to 16th. Michigan fell to 14th from tenth after a loss to Notre Dame and Pittsburgh moved up five spots from 25th to 20th. There were no subtractions or additions to the ESPN.com/USA Softball Poll this week. The entire poll can be found below. We are through the second week of the 2017 college softball season after a very good opening weekend that produced some surprising results. Below, we will take a day-by-day look at how the second week unfolded. Wednesday was pretty formful with the most top teams winning their contests. Top ranked Florida won easily over Jacksonville 6-0 on the road, #3 Florida State defeated Florida A&M 5-0, and #5 Alabama won 3-1 versus South Alabama. The big matchup of the day was between #22 Kentucky and #6 UCLA with a weather causing the two teams to reschedule Saturday’s matchup into a doubleheader. The Wildcats started fast in the top of the first with two runs, but were matched by the Bruins in the bottom half. The Bruins put up three more runs in the bottom of the second and added a sixth run in the fourth inning. The Bruins went on to win the first game 6-2. Rachel Garcia went 6 2/3 innings after the first two runs were given up by Selina Ta’amilo. Garcia allowed just two hits and struck out 10 Wildcats. The Wildcats were able to split the doubleheader after winning the second game 2-1 in 11 innings. Kentucky’s Abbey Cheek had an RBI single in the top of third, but UCLA responded in the bottom of the fourth to tie the game. Jenny Schaper’s two out home run in the top of the 11th proved to be the difference as Meagan Prince pitched all 11 innings to get the win. Nicholls got two outstanding pitching performances against Jackson State. First it was Megan Landry throwing a five inning no-hitter in a 13-0 win. Then it was Jackie Johnson allowing one hit and striking out eight batters in another run-rule shortened game. #7 LSU’s Carley Hoover threw a no-hitter against Louisiana Tech in which she allowed four walks, but struck out 11 batters. It was her second career no-hitter. The Tigers won the game 5-0. After an offensive power surge on Sunday, #21 Fresno State had a rough start to the second week. They led 1-0 against Mississippi State in the top of the second, but the bats could not get going as they fell 4-1. Alexis Silkwood pitched a complete game for Mississippi State allowing one run, one walk, and six hits while striking out four. The day got even worse as Fresno State lost to Florida Gulf Coast in their second game. The Eagles took a 4-0 lead after two innings and held Fresno State to no runs and four hits through six innings. The Bulldogs made a furious rally to close the deficit to 4-3, but the Eagles were able to survive. One team that had a very good day was the Wisconsin Badgers. They started with a 3-1 extra innings victory over #20 South Florida. The game was scoreless through seven before the Badgers broke through with three runs. Sara Novak’s two run single proved to be the difference as Kaitlyn Menz worked around an error to throw a complete game. The Badgers capped the day with a 9-1 victory over Binghamton in six innings. Stephanie Lombardo hit a three run shot to put the game out of reach. #2 Auburn had to survive a scare against SIU-Edwardsville. The Tigers plated to runs early in the game thanks to a two run blast by Carlee Wallace. Auburn held a 3-1 lead until the sixth when back-to-back singles by Edwardsville made it a tie game. The Tigers won 4-3 in the bottom of the eighth on Carmyn Greenwood’s hit to wall that brought home Bree Fornis. and it’s WALK-OFF! @AuburnSoftball wins! Weather was a factor out west in California as well as in Louisiana. The deluges of rain forced many games to be postponed to later in the weekend. No-hitters were thrown by #21 Fresno State’s Kamalani Dung in a 9-0 win versus Florida Gulf Coast and #25 BYU’s Kerisa Viramontes in an 8-0 win over Nevada. Meanwhile, #11 Michigan’s Kelly Christner had a massive day at the plate hitting three home runs and tallying seven runs batted in. Christner became the fourth Wolverine to tally three home runs in a game. The ACC/Big 10 Challenge got underway and the ACC held a slight 5-3 advantage on the day. Virginia Tech, Louisville, #24 Pittsburgh, North Carolina, and #3 Florida State notched wins for the conference while #13 Minnesota, #11 Michigan, and Penn State won for the Big 10. #4 Oklahoma started with an easy 14-0 win over Incarnate Word aided by an 11 run first inning. Nicole Pendley went 3 for 4 with five runs batted in and a home run. The bats kept going for the Sooners in their second game and they needed every bit of it. They defeated Ole Miss 11-8 in a wild affair. Shay Knighten went 4 for 4 with four runs batted in while Pendley added another home run. Liberty suffered their first losses of the season after a 5-0 start. The Flames dropped a 10-8 game to Loyola Marymount, but the Flames made them work for it. Liberty trailed 10-3 in the sixth inning and put 5 runs across to close the deficit, but it was not enough. The Flames were blanked in the second game 3-0 to UC Davis with Katelyn Kibby throwing the complete game shutout. Cal Poly took on Central Florida and #6 UCLA, but lost both games. The first game against UCF was scoreless through seven innings, however, both teams scored in the eighth to force a ninth inning. There, the Golden Knights walked off on Jazmine Esparza’s infield single. The Mustangs led UCLA 1-0 early, but the Bruins were able to tie the game in second and then take the 3-1 lead in the third. Speaking of the Pac-12, they had a fantastic day going 13-0. That included a pair of one run victories by #9 Oregon. The first came against #22 Kentucky where the Ducks trailed 4-1 after five innings. A single by Shannon Rhodes and a subsequent error tied the game at four. Nikki Udria won the game in the top of the seventh with a solo shot. The second game against Kent State saw the Ducks takes 2-0 lead early, but a three run third inning gave Kent State a 3-2 lead. The Ducks rallied in the top of the fourth with two runs and Maggie Balint, who won the game versus Kentucky, got the save in the 4-3 win. #20 South Florida lost their second game in as many days against #14 James Madison. The Dukes won 5-0 behind Odicci Alexander’s complete game shutout. Alexander allowed only five hits and one walk while striking out six USF batters. Weather continued to hamper some tournaments including those in Las Vegas, Arizona, and California. Southern Illinois head coach Kerri Blaylock recorded her 600th career win in a 7-0 Saluki victory over Massachusetts. All seven runs were scored in the fourth inning including Maddy Vermejan’s three run triple. The shocker of the day was the #1 ranked Florida Gators suffering their first loss of the season in a 4-2 game against Maryland. Florida put two runs on the board in the first inning, but a three run fourth allowed Maryland to take a 3-2 lead and survive a seventh inning threat. The victory was the first of the season for Maryland, a team that had started 0-8 and was run ruled four times early in the season. As for the ACC/Big 10 Challenge, the ACC continued to build their lead. The ACC teams went 10-6 on Saturday to give the conference a 15-9 lead with eight games left to be played on Sunday. Notre Dame handed #11 Michigan a loss early in the day, 6-4. The Irish led 4-0 after two innings and then withstood a three run rally by Michigan over the third and fourth innings. A two run fifth for Notre Dame proved to be the difference. Notre Dame would lose their second game to #13 Minnesota 3-2 in eight innings. Dani Wagner hit the walk-off single for the Gophers. Michigan came back with their second straight double digit run victory in as many days over NC State. The Wolverines won 12-0 on Friday and 11-0 on Saturday. #24 Pittsburgh continued their undefeated start with victories over Nebraska and Northwestern. The first game was a 6-2 win versus Nebraska where the Panthers recorded a season high 13 hits. In the Northwestern contest, the Wildcats got just one hit, a single in the first that also produced their lone run. They nearly held on for the 1-0 win, but Kaitlin Manuel double in the bottom of the seventh to tie the game. It was Giorgiana Zeremenko who ended the game with a single in the eighth and gave the Panthers a 2-1 win. Kayla Harris went all eight innings allowing one hit and three walks and to move to 4-0 on the season. #21 Fresno State played one of the more wacky games on Saturday. The Bulldogs were well in control versus Cal State Fullerton after giving up an early run. The Bulldogs put up 9 runs combined in the 2nd and 3rd innings on their way to what looked like a comfortable win. The Titans rallied in fifth with nine runs of their own to reclaim a 10-9 lead. Fullerton had seven straight hits that produced at least one run. As if that was not enough, Fresno State came back in the sixth to take an 11-10 lead, but the Titans tied the game at 11 in the top of the seventh with two outs. Vanessa Hernandez ended the madness with a walk-off double in the eighth inning to give the Bulldogs the 12-11 victory. One under the radar game that took place was between undefeated Wisconsin and one-loss #14 James Madison. It was the Dukes who controlled the game and went on to win 4-0. RBI singles from Megan Good, Madison Naujokas, and Niki Prince in the first inning provided more than enough support. Good went on to a complete game one hitter and she was throwing fire in the circle as well with 13 strikeouts. The Atlantic 10 had a rough day. They went 1-6 in their seven games including blow out losses by #12 Georgia (over Dayton 12-0) and Ole Miss (over Bryant 18-5). The lone win came from Fordham’s 16-0 demolition of Bryant. Fordham sits at 7-3 after the first two weeks of the season. The ACC/Big 10 Challenge concluded and the Big 10 made up ground early in the day. They opened 4-1 with wins by #11 Michigan, Ohio State, Penn State, and #13 Minnesota. That closed the deficit to 16-13, but the ACC finished off the challenge with three wins by #3 Florida State, North Carolina and Georgia Tech to make it 19-13 in the end. The SEC was in a cruising mood on Sunday. Seven of their 12 games ended in the fifth inning because of the run rule. Ole Miss (twice), Arkansas, #12 Georgia, #15 Tennessee (twice), and #2 Auburn all recorded run rule victories. Perhaps the biggest series of the weekend was between #5 Alabama and #18 Louisiana-Lafayette. Friday’s game was moved to Saturday to force a doubleheader and it was the Tide who came away with the 3-0 win. Alexis Osorio and Sydney Littlejohn combined to allow just three hits. In game two, UL-Lafayette quickly took a 3-0 lead in the bottom of the first on RBI singles from DJ Sanders and Lexie Comeaux. After adding a run in the third, the Cajuns blew the game wide open with a solo shot by Comeaux and a two run double by Haley Hayden. Despite two runs from Alabama in the fifth, the Cajuns ended the game early with Beth Ashley’s three run home run for an 11-2 win in six innings. Alex Stewart threw six innings allowing two runs on eight hits and one walk while striking out six. The final game took place on Sunday and the Ragin’ Cajuns once again dominated the contest. Sanders hit a two run blast in the bottom of the first and added a solo shot in the fifth inning. Alyssa Denham shut down the Alabama bats giving up only two hits and three walks in the complete game shutout. The Pac-12 had another stellar day going 8-1 overall. The lone loss was the aforementioned Oregon State loss to Tennessee (14-0). Some mid-major teams have shown great promise early in the season. Belmont is undefeated at 8-0 among a contested Ohio Valley Conference and Grand Canyon is 10-1 with their lone blemish a 1-0 loss to Baylor. Nicholls is 9-2, Stetson is 9-1, and South Carolina Upstate is 9-2. UNLV sits at 7-2, South Alabama 9-1, Troy is 8-2, and Florida Atlantic is 8-2. The Florida Gators are back on top of college softball in both polls after the first four days of action. The Gators took 18 of the 32 first place votes in the USA Today/NFCA Coaches Poll and 16 of the 20 first place votes in the ESPN.com/USA Softball Poll. The Gators defeated then #6 Michigan 2-1 on Saturday in 10 innings and also thoroughly defeated then #25 South Florida 8-0 on Sunday. Also in the Coaches Poll, Auburn (eight first place votes) stay at number two after defeating #1 Oklahoma on Thursday and losing to #13 Washington on Friday. Florida State (four first place votes) is ranked third while Oklahoma (two first place votes) dropped to fourth after losses to both #2 Auburn and #13 Washington. Alabama rounds out the top five after a 19 strikeout perfect game by Alexis Osorio. UCLA is ranked sixth and LSU is seventh. Washington was the biggest winner over the weekend and they went from thirteenth to eighth (South Florida also moved up five spots from 25th to 20th). Oregon and Arizona round out the top 10 at ninth and tenth, respectively. Michigan dropped from sixth to eleventh due to losses to both Florida and South Florida while Louisiana-Lafayette dropped seven spots from eleventh to 18th. Notre Dame and Florida Atlantic fell out of the Coaches Poll while Pittsburgh and BYU both entered in their place. Pittsburgh defeated Kentucky twice over the opening weekend. BYU faced Nebraska, #1 Oklahoma, #13 Washington, and #2 Auburn in their first four games with wins over Nebraska and Washington. The entire USA Today/NFCA Coaches Poll can be found below. In the USA Softball Poll, the Gators are first followed by Auburn, who was second last week and got one first place vote. Florida State is ranked third (three first place votes), Alabama moved up to fourth, and UCLA is number five. Oklahoma fell from the top spot to sixth. Oregon, LSU, Washington, and Michigan complete the top ten. Washington went from 13th to 9th while Michigan fell from sixth to tenth. The biggest mover was Louisiana-Lafayette dropping from 11th to 18th. Arizona State enters the USA Softball Poll ranked at number 21 after opening 7-0 while Pittsburgh also enters the top at 25 as the final team. Florida Atlantic and Notre Dame both fell out of the top 25, just as they did in the Coaches Poll. The entire ESPN.com/USA Softball Top 25 can be found below. 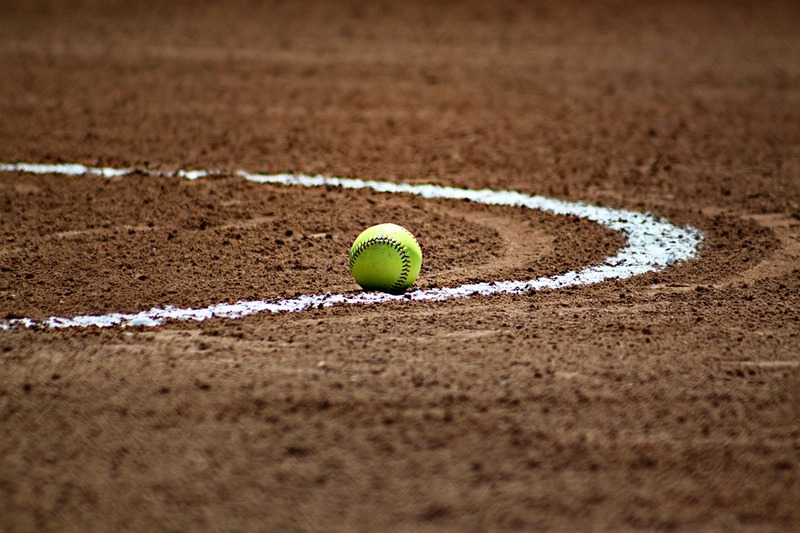 The 2017 college softball season started on Thursday, February 9 and the opening weekend produced some fantastic matchups on paper and the games lived up to the hype. We will take a day-by-day look at the first weekend of games. The 2017 season started with a rematch of the 2016 Women’s College World Series between #2 Auburn and #1 Oklahoma. Auburn got a small measure of revenge in Puerto Vallarta thanks to two home runs from Kendall Veach and a very good outing from pitcher Makayla Martin. Auburn won 3-2 over the Sooners. Oklahoma rebounded to defeat BYU later on Thursday 7-1 while Auburn dropped a 2-1 game to #13 Washington in 10 innings. For the Pac-12 they went 10-0 on Thursday in a flying start to the season. The upset of the day belonged to Fordham. The Rams defeated #21 Baylor 1-0. Lauren Quense threw a complete game shutout in which she allowed only four hits and one walk. It was the 14th win against a top 25 team for Fordham in program history. Friday was headlined by the 19 strikeout perfect game thrown by Alabama’s Alexis Osorio. Osorio’s performance came in a 6-0 win over Coastal Carolina and the 19 strikeouts set a school record. It was also the fourth perfect game in Alabama softball history. Penn State had an up and down day on Friday. They started with a loss against McNeese by a score of 4-1, but came back at later in the day to post a big upset of #4 LSU 7-3 on the road. Penn State scored five runs in the third inning and survived a 12 strikeout performance by LSU’s Carley Hoover in relief. Butler played in two of the more entertaining games as well. The first game on Friday saw the Bulldogs fall behind 7-0 to Miami (OH) in the top of the second inning. Butler rallied in the bottom of the second to post eight runs of their own. The two teams swapped the lead a few times before Sarah Dixon hit a walk-off two run ground rule double for the 13-12 win. Butler’s second game on Friday was similar to their first. They fell behind 5-0 to Detroit, rallied back to take an 8-6 lead in the top of the fifth. Detroit tied it in the bottom of the fifth before Brandyce Sallee’s sixth inning ground rule double ended up winning the game 9-8. The Puerto Vallarta Challenge continued to be just that for the top teams: a challenge. A day after defeating #2 Auburn on Friday night, #13 Washington lost to BYU 4-2. BYU put up a three run sixth inning while McKenna Bull went the distance to close out the game. Auburn had a close tussle with Nebraska, but came out with the win 3-2 in Puerto Vallarta. Auburn’s three run fourth inning was supplemented by a good defensive performance and Kaylee Carlson’s complete game without allowing a walk. The big game of the day came early between #6 Michigan and #4 Florida. In what could be a WCWS matchup in June, the Wolverines and Gators played an extra innings thriller. The Gators eventually came away with the victory, 2-1 in ten innings. The Gators took the lead in the top half of the fourth inning with Nicole DeWitt’s single that scored Aleshia Ocasio. Michigan wasted no time tying the game in the bottom of the frame as Aidan Falk had an infield single that brought home Natalie Peters. The Gators took the lead in the top of the tenth after Jordan Roberts singled to center to score DeWitt. It was a game of strong pitching performances. Florida’s Kelly Barnhill went 7 innings giving up only one run on four hits and one walk while striking out seven. She was relieved by Delanie Gourley who threw three shutout innings. Gourley got the win after striking out four batters, walking only two, and not allowing a hit. Michigan’s Megan Betsa pitched all 10 innings in the loss. She allowed six hits and six walks while striking out 12 Gators. The day got worse for Michigan as they played #24 South Florida and they dropped their second game of the day 6-4. The Wolverines got out to a 3-0 lead in the first inning and still held a 4-2 lead after five. The bottom of the sixth saw the Bulls produce a four run inning led by Kassandra Moeller’s pinch hit two run blast to tie the game. #1 Oklahoma lost their second game of the weekend to #13 Washington. The pitching duel was broken only by Taylor Van Zee’s solo shot in the bottom of the second. Taran Alvelo out-dueled the pair of Oklahoma Paiges. Alvelo threw the complete game shutout allowing only five hits and two walks. Paige Parker, who took the loss, and Paige Lowary combined to throw a six hitter, but it was not enough. The Huskies win over #1 Oklahoma capped a monster weekend for them. Washington upset both the #1 and #2 teams and also defeated Nebraska. The lone blemish was the 4-2 loss against BYU on Friday night. #17 Missouri and #14 James Madison squared off twice over the weekend and splitting the the games. The Dukes silenced Missouri’s bats on Friday thanks to Megan Good’s outstanding pitching performance. She threw a complete game shutout allowing just two hits and one walk while striking out 10 batters in the 6-0 win. The win over Missouri was James Madison’s 500th win in program history. Missouri rebounded on Saturday to win 8-4 behind Kirsten Mack’s 2 for 3 game with a home run and three runs batted in. Finally, we have the outstanding pitching weekend of Cal Poly’s Sierra Hyland. She threw a 9 strikeout no-hitter on Friday against Purdue in 2-1 victory, which would normally be considered a great weekend. However, she out-did herself on Saturday when she threw a perfect game against Creighton. The Mustangs won 8-0 in a run shortened game and Hyland struck out 9 batters again. And for good measure, Hyland went 3-0 on the weekend when she came on in relief against Western Michigan in the second game on Saturday. In two innings, she allowed a run on two hits, but struck out five batters. Fresno State completed their opening weekend with a 24-8 drubbing of Stanford, who was coming into the contest 4-1. New head coach Linda Garza saw her team tie multiple records in runs scored and home runs hit (6). They also tied the Mountain West Conference record of 24 runs scored in a contest. The Bulldogs defeated Big 10 duo Indiana and Purdue along with San Diego over the weekend. The lone blemish on the weekend was a 4-1 loss to Oregon. Pittsburgh completed an undefeated weekend with a pair of victories over #20 Kentucky and Central Florida. Pittsburgh and Florida State are the only two undefeated teams remaining in the ACC after the first four days of games. In a matchup of undefeated teams, Wisconsin beat Drake 4-1 in eight innings to move to 4-0. Southern Miss was able to start the season 4-2, but it was their Sunday performances that were most impressive. They beat Louisiana-Lafayette not once, but twice in the same day.
.@SouthernMissSB becomes the first team since March 2013 to beat Louisiana-Lafayette in back-to-back games at Lamson Park in Lafayette. The ACC/Big 10 Challenge will take place next weekend (February 17th through February 19). Florida State, North Carolina State, North Carolina, and Georgia Tech will be the hosts. The entire schedule can be found here. There will also be some mid-major teams worth watching such as James Madison vs South Florida twice, Cal Poly going up against UCLA, Drake against Arizona (twice), SIU-Edwardsville against Auburn (twice), and undefeated Liberty running the gauntlet against Cal Poly, UCLA, and Oregon.